Sorry for the late posting. 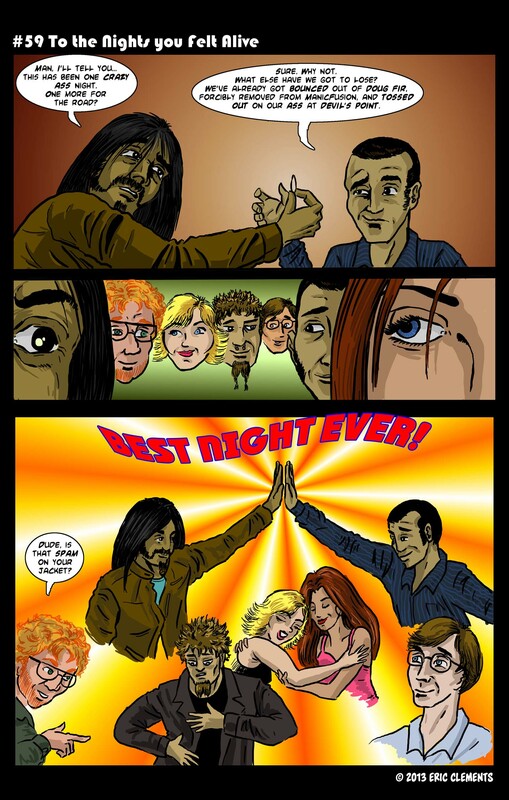 Had to add some extra cheese to that last panel. …Just in time for turkey day. You know what else you’re going to need to wash down all that upcoming holiday food? 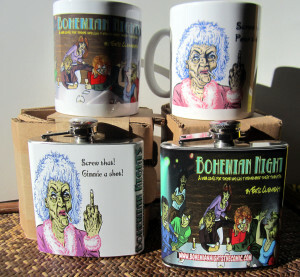 A special bohemian Nights beverage container of your choice! 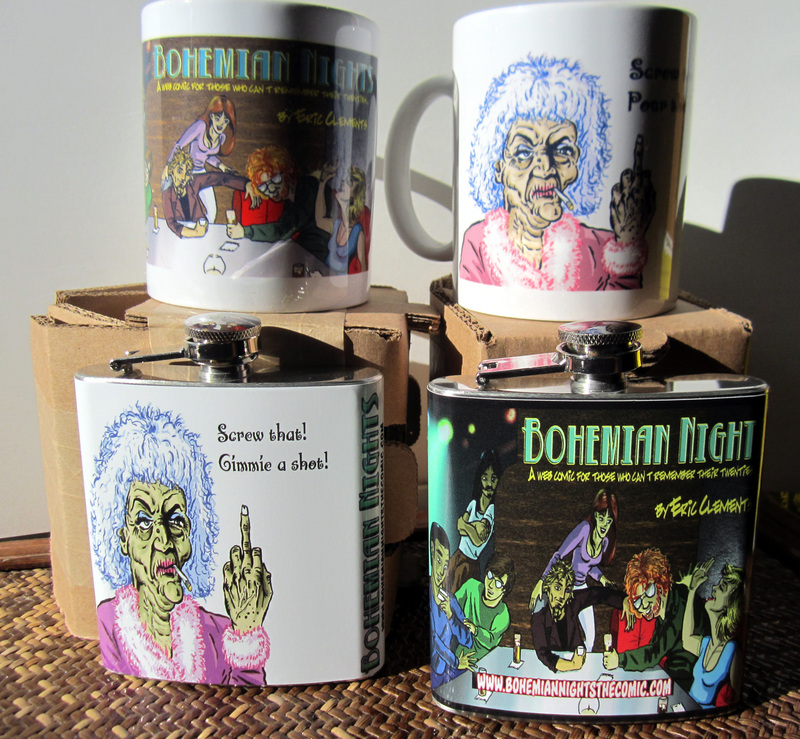 Coffee mugs and hip flasks are now on sale at the Bohemian Nights store open NOW! The perfect gift for those who just want to forget the holiday season!